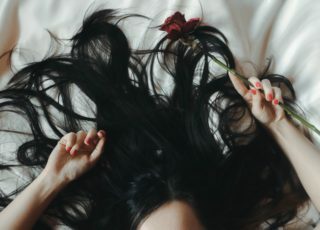 For most people, our hair is a feature to which we are willing to donate a fair amount of time, energy and money in order to keep it in shape – one’s hair is one’s crown, after all. But how often do we give even a thought to our scalp – or the role it plays in having healthy, shining hair? Not often, it would seem. 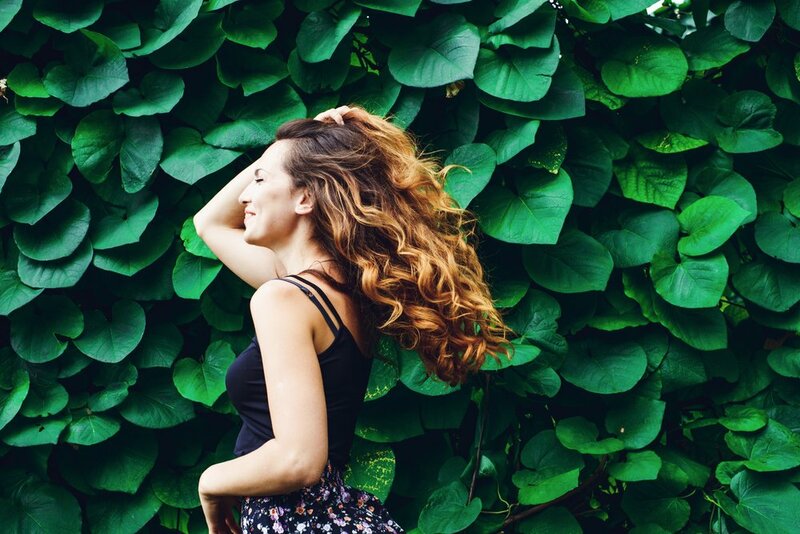 Which is surprising, if you think about how the health of your hair starts with your scalp. One of the newest trendy treatments from Asia (falling in the same category as sheet masks and 10-step skincare rituals) is the Japanese head spa, which aims to purify and regenerate the scalp and promote healthy hair growth. While this treatment sounds the ultimate pampering session, there’s a lot you can do yourself to treat your scalp to some TLC and get some regeneration going. With this hair and scalp stimulator oil that works to open the pores on your head (yes, they also need a deep-cleanse every now and again), paired with a massage and head wrap, all the gunk that builds up on your scalp gets worked out and washed clean. Afterward, your hair is left feeling fresh and shiny, your scalp is purified and the hair growth is boosted. Better yet, the massage will do wonders to relax your mind. 1. Drop essential oils and carrier oil into a bottle with lid. Shake vigorously for 2 minutes. 2. Dip fingertips into mixture and gradually massage the entire amount into your dry scalp for three to five minutes. 3. Wrap your hair completely with plastic wrap or a shower cap and cover with a very warm, damp towel. Replace towel with another warm towel once it has cooled. 4. Leave on for 30-45 minutes. Follow with shampoo and light conditioner. Use up to two times per week if hair is thinning. We extracted this treatment and the recipe from The Essential Life, which focuses on how plants and natural remedies bring new levels of wellness to powerfully impact our lives. If you’ve ever spent any time looking at wellness-related magazines or social media, you’ve encountered people raving about the benefits of essential oils. Essential oils are everywhere, and they are popular for good reason. But if you want to incorporate essential oils into your life, it’s important to first know what they are and the best ways to introduce them into your lifestyle. An essential oil is a concentrated plant extract that contains volatile (easily evaporated) organic compounds. They are extracted by distillation and contain potent chemicals from the plants from which they come. It takes a significant amount of a plant to make such a concentrated product, and a little bit of these beneficial oils goes a long way. People seeking to improve their mental, physical or emotional health can benefit from using pure essential oils, and they also work great for beautification and cleaning. Different essential oils offer different benefits, and they are often blended to deliver combined benefits. Click here for the beginner’s guide to essential oils and how they can benefit your entire life.